Bent Fabric wrote: I really like what you did with this - you went very personal, and...it was impossible not to be moved by the content. i don't really have the time to get into my brownness~~or my pinkness~~right now. or my various solo storyvilled tangents. or my old tendency to follow levon around like a drooged up puppy. but it's all here, and it's all happified by such a great write-up. I’ve always wondered what would have become of The Hawks if they hadn’t hooked-up with Dylan. They were a well-respected group with well-honed chops and I have to believe they’d have been given a recording contract at some point. Would they have remained a roots-oriented outfit along the lines of The Butterfield Blues Band, Siegel-Schwall, John Hammond, etc. or would The Band/JRR’s collective muse have bubbled to the surface without The Basement Tapes/Big Pink experience? I can’t remember how I heard about Music From Big Pink or why I decided to buy the album at the age of 14. I’ll guess it was the Dylan connection (I was really taken with John Wesley Harding) but I also remember being surprised that he’d painted the cover when I saw the credit, so I don’t know what I’d heard or read. I remember going to my local record shop – Simmon’s Appliance & Repair – with the purposeful intent of buying the album. When I couldn’t find it in the Rock section I asked the high school-aged clerk if they had it in stock. “That’s in the Soundtrack section,” he informed me. Hmmm… I hated musicals so if this was some kind of Broadway album I was going to be really pissed, and I was highly suspicious of various artists movie soundtracks too. But I followed my instincts and laid my money down. It’s hard to express the power and depth of mystery surrounding the album, but it affected people much older and wiser than I in the same way. It can still conjure powerful feelings, although recapturing that initial sense of wonder and mystery is out of reach… that level of magic belongs to another time and place. I wish I liked them more than I do. I have an awful lot by them for I band i'm not a big fan of. I like Stage Fright the best, then Big Pink. I hate hate hate the Last Waltz. I like the music they influenced generally more than I like them--I'll take Little Feat's debut over anything they did except for Ronnie Hawkins' Who Do You Love and Bob Dylan at Royal Albert Hall. I do like Stage Fright--probably because it's the least creaky thing they did. I think Rock Of Ages is incredibly wooden and the horns do the songs no favors. I've tried, God knows, I've tried--for almost 40 years now. Stage Fright, though--yeah, that's a pretty good album. Guy E wrote: It’s hard to express the power and depth of mystery surrounding the album, but it affected people much older and wiser than I in the same way. I would dearly love to hear from Eric Clapton what exactly went through his mind when he first heard Big Pink. Was it a sudden epiphany, or the seed of a lingering doubt? Power and depth, for sure. I'll guess that his reaction was immediate, instantaneous. I can't conjure a visceral memory of hearing Big Pink for the first time in 1968, but Tears of Rage establishes a unique vision. Hearing those opening notes and Manuel’s keening vocal… it still gives me goose bumps. The album had no perceptible reference points and I’ve never had much of an impulse to flip it over after The Weight closes Side One. It's so complete. Approaching the album decades after the fact It's power might be hard to understand; clearly, there are musical reference points. But I didn't know them at the age of 14 and nobody else seemed bothered to itemize and analyze them either. Music From Big Pink is a record that immediately recalibrated my musical universe and it had the same effect on many listeners and musicians. There are a couple of Beatles songs that did that; The Byrds Mr. Tamborine Man did too. A Whiter Shade of Pale, The Ramones, Television’s Marquee Moon, mbv's loveless… it’s a pretty short list. Unfortunately, as good as the next two albums are, The Band couldn't repeat the trick and their [brown] influence can be cursed as much as it is celebrated. I like the good stuff that they shepherded-in, but Big Pink will always stand alone. Is it just the album cover (or title) or is Big Pink just a bit more colorful than what came after? It seems there are these great, almost psychedelic touches (Leslie guitar and horns on "Tears of Rage", the organ intro to "Chest Fever") that have this surreal sound that seemed a bit lost on later albums. I don't know their catalogue well at all. I like the second album too. I like The Last Waltz in the theater, though I wouldn't think to put it on at home. Last time I saw it, it really was incredible just watching them play. 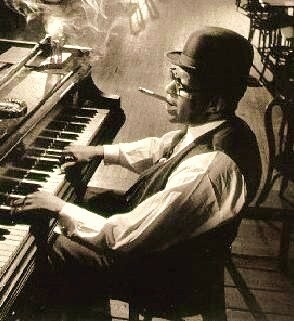 They were such great players, even though their music is not always my bag. Seeing their bits in Festival Express was also great. Rick Danko would be musical even if he was unconscious, as he very nearly was when boozing with Janis Joplin in that film! Quacoan wrote: Is it just the album cover (or title) or is Big Pink just a bit more colorful than what came after? It seems there are these great, almost psychedelic touches (Leslie guitar and horns on "Tears of Rage", the organ intro to "Chest Fever") that have this surreal sound that seemed a bit lost on later albums. Absolutely. There are subtle psychedelic references... expressionistic might be a better word. The next two albums are both classics in my book. I think their ensemble interplay is pretty intuitive, but they're so good at it, it sounded like they formalized their musical vocabulary. So everything that came after sounded a lot more conservative. I need to get into Stage Fright. I've only owned it for, like, 25 years! I don't think there's a note released as The Band that I don't value. I also like most of the solo work they spawned (a few of Robbie's more hamfisted moments being the exception to the rule). Someone ought to say something about Levon's last act. He really set the standard. Happy 77th birthday Garth Hudson!!! 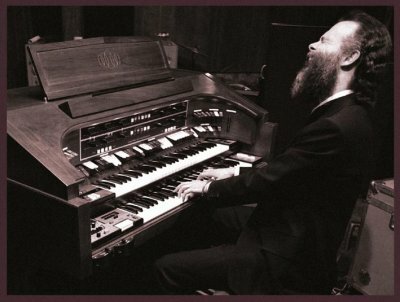 modharper wrote: Happy 77th birthday Garth Hudson!!! Genetic Method into Chest Fever on Rock of Ages is one of the great moments in music. I don't think there's a note released as The Band that I don't value. I'm listening to Islands as I type this and while it has its weak points it really does need rescuing from its reputation as a total dud. Its crime (if crime it be) is to be only half an album, if you consider one or two tracks don't quite measure up and take away the obvious padding of the instrumental and the covers. What remains though passes muster in my book. The disappointment for me, on the remaster edition, was finally hearing The Band do Twilight and hearing it done in a horrible cod reggae style. Still love the song but this is the version I heard first and still pretty much nails it for me. Yes, thanks. And Cahoots has Life is a Carnival, as good as any from the best! I realise there's an ongoing conversation on the Basement Tapes Complete elsewhere, but I'm hijacking this story for this thread, as it personally involves one of The Band. Rolling Stone brought Garth Hudson back to the Big Pink house where many of the Basement Tapes songs were recorded in 1967. It’s fantastic to see Garth at Big Pink. 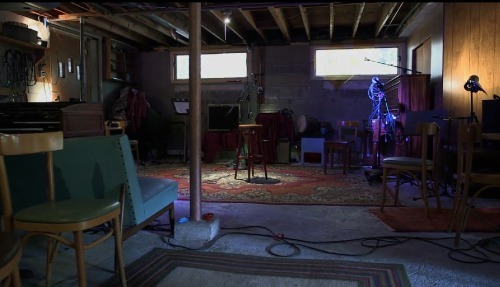 He shows us the room where Dylan would write songs and then takes the stairs down to the basement and we get to see where the music got made. Plus Garth plays some solo piano in the basement. VRZ Robotz wrote: Someone ought to say something about Levon's last act. He really set the standard. Dirt Farmer is a truly magical album. He's not the only man of his generation to open-up his wells of experience at a late age, but very few managed to capture that lightning-in-a-bottle muse. Electric Dirt didn't tap-into the same vein of gold, but it's also very good. 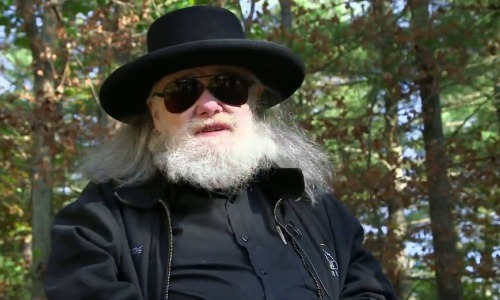 My 'Basement Tapes Complete' interview with Garth Hudson (and archivist Jan Haust) is finally online! Excellent unseen portraits of The Band by photographer David Attie have just been uncovered. Each shot with their instrument of choice. These portraits of the individual members of The Band were taken in late 1969 for their appearance on the cover of Time Magazine, on January 12, 1970 -- the second-ever rock band on Time's cover, after the Beatles in '67, so clearly a photo shoot of some significance. This may be why The Band agreed to do studio portraits, which are quite rare in their peak period. However, Time opted to use a drawing on that cover instead, and these photographs were unseen until their recent discovery by Attie's estate. The Band, like The Beatles, or The Rolling Stones, need little to no introduction. Although less people have heard of The Band as opposed to many of the other bands that emerged from the same period, their fame is still legendary. The Band famously ended their career, albeit on a high note, with their legendary The Last Waltz extravaganza. It may not have been to all the band members’ liking but it happened nevertheless. It’s been meticulously chronicled by the popular film of the same name, and several versions of the phenomenal soundtrack. From a studio point, The Band ended with Islands, a collection of previously unreleased songs that Robbie Robertson has called “their Odds And Sods (The Who collection of unreleased tracks)”. To this day, I still listen to Islands quite frequently. On May 12, Capitol Records will release a digital version (for now) of Capitol Rarities 1968-1977 that contain rarities from The Band. Since the date is way out there, I’m betting that we might see a CD version of this. Right now, there is no other word on content, or anything else that this might contain. If this has already been released, then I’m not seeing it. Therefore, I thought it worthy to make mention of. Here’s hoping that we get something classic for our libraries! Updates as they come.